Poets, composers, authors and preachers—all have captivated us with the phrase, “Touch the face of God.” But has anyone touched God’s face? Has anyone seen God? The answer is yes and no. In the Garden of Eden, Adam and Eve had direct, two-way communication with their Creator, Adonai Elohim. Later, so did their sons, Cain and Abel. El Shaddai appeared to Abraham as one of three men—the other two were angels. Jacob wrestled with a man, and afterward said he had met God face to face. In each case, God appeared as a man to these people. Adonai Elohim and El Shaddai are names of God. Yahweh is another name of God. Moses asked to see Yahweh’s glory, but he was told, “You cannot see my face, for no one may see me and live” (Ex. 33:20). However, Moses was allowed a glimpse of Yahweh’s back side as he passed by. He talked to Moses face to face, but Moses never saw him without a shroud to mask God’s glory. The Son of God existed in glory before his human birth. He was born Jesus, a human being, later to appear following his resurrection as a glorified human, but never seen by humans in the full glory and power of God. Today, which is Transfiguration Sunday, our Scripture readings include the story of Elijah taken away by “the chariot of Israel” in the presence of Elisha, the Psalmist speaking of God coming in glory and gathering the saints, and Paul writing about the gospel of the glory of Christ. Glory is the common theme, and the Gospel reading today in the book of Mark is about Jesus appearing in glory. The scene is set in Mark 8 when Peter, under inspiration, identifies Jesus for who he truly is, the Messiah. But there is a problem. Peter, along with the other 11 disciples, had his own mental vision of Jesus as Messiah. That vision, formed as it was by the religious teaching handed down to them, and a major part of their core values, was different than the true vision of the Father, Son and Spirit. To these disciples, it did not make sense to keep Jesus’ Messiahship secret as Jesus had told them. Upon hearing Jesus speak about an impending clash at Jerusalem in which the Jewish religious leaders would reject him, resulting in his death and resurrection, Peter decided to disagree with him to his face. He took Jesus aside to rebuke him. In response, Jesus rebuked Peter, and knowing that Peter was expressing a broadly held opinion, Jesus extended the conversation to the whole group of disciples and other followers standing nearby, telling them that they would have to be willing to follow him into impending persecution (Mark 8:29-37). After this rebuke and warning, Jesus have a rather mysterious reference to his future return to earth in glory. He then followed that by foretelling that some present with him would see the glory of the kingdom of God in their lifetime (Mark 8:38-9:1). Today’s sermon is about the fulfillment of this prophetic statement. We will see that Jesus was speaking of his forthcoming Transfiguration, which would be witnessed by three of his disciples. In studying Mark’s account of the Transfiguration, we will gain a better understanding about this historical event and what it means to the followers of Jesus as well as all humanity. 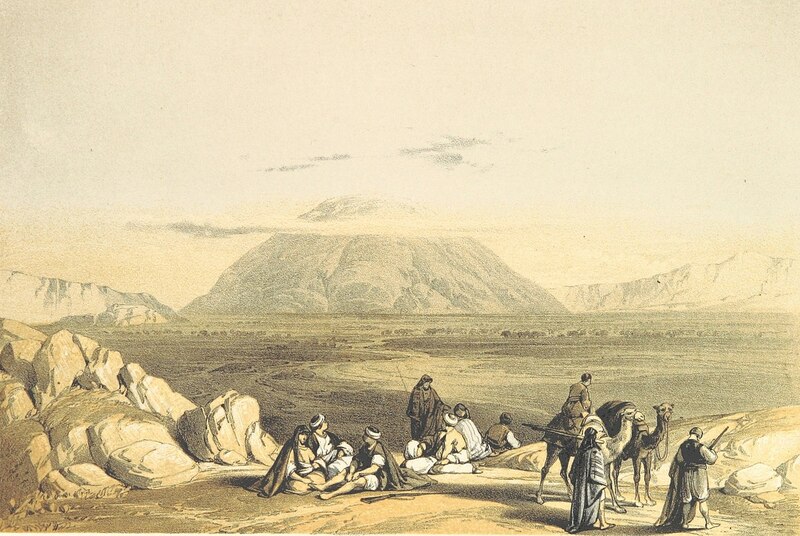 Though it is not certain, many believe the Mount of Transfiguration was Mt. Tabor, which lies between Nazareth and the Sea of Galilee. The actual location doesn’t matter—what’s important is that Jesus wanted it to be a private event. Only he and the three disciples were there. What significance was the time period of “after six days?” The text doesn’t say—perhaps it took that long to travel there. More importantly, Mark wanted to relate the event to Jesus’ statement about some seeing the kingdom in glory. Though frightened, the disciples’ understanding of the Hebrew Scriptures and traditions should have helped them make sense out of what they were now witnessing. They should have remembered Exodus 40:34, which tells of the overshadowing cloud signaling the divine presence. The voice that now spoke out of the cloud about the Son of God should have been recognized as the divine voice. Though these three disciples were not present when a similar testimony from heaven took place at Jesus’ baptism, this time they were eye-witnesses, and their understanding began to unfold. The voice authoritatively addressed Peter’s misconception. It was saying, in effect, “Don’t put Moses and Elijah in the same category as Jesus; he is my beloved Son! Don’t compare their words to his; listen to him!” With this strong declaration, the disciples would, as eyewitnesses, have realized more clearly that Jesus was not just another rabbi or servant of God; he was far more than that, and what he said and did had far greater weight. Let’s consider a little more deeply the significance of these ten short words: “This is my Son, whom I love. Listen to him!” Moses, now standing with Jesus, was Israel’s lawgiver. The Law, part of which was dictated by God and transcribed by Moses, was even called The Law of Moses. The first five books of the Hebrew Scriptures, authored by Moses, were sometimes referred to as The Law. Moses himself foretold the coming of “a prophet like me,” warning Israel, “You must listen to him” (Deut. 18:15). Together with the voice from the cloud, this passage elevated Jesus above The Law. In a similar way, the voice also elevated Jesus above the second part of the Hebrew Scriptures, The Prophets, now represented by Elijah, standing with Jesus. Jesus fulfilled the Law and the Prophets. It is in knowing Jesus that we can understand the full intent and message of the Law and the Prophets. Peter’s words shed light on the intentions of the Father, Son and Spirit in that special event—the Transfiguration. They chose three humans to be eyewitnesses of Jesus’ true glory, concealed from humanity to some extent now, but to be seen fully by all when Jesus returns in glory. In the Law of Moses, three witnesses were considered reliable for testimony of a fact. Through the eyes of these three witnesses, all who believe have access to a vision of Jesus’ identity that is consistent with the truth. The Father, Son and Spirit, through a small, specially-selected audience, using the Son of God and Son of Man, Jesus Christ, gave humanity a peek into the splendor, majesty, power and glory that they possess. Words alone were inadequate, so Peter, James and John were given a visual exhibit for a moment. If, as the saying goes, a picture is worth a thousand words, imagine the impact this vision had in the lives of these three men. Although what was visibly and audibly displayed was only a peek, it was enough to give them insight into what eyes otherwise had not seen nor had ears heard. In human history, the Transfiguration was one of those special events to point humanity toward the day of the manifestation of the children of God. To all who believe now, the Transfiguration was a powerful testimony to the true identity of Jesus, God’s Son. Although Peter had testified to that truth before the Transfiguration, he obviously didn’t really understand what he was saying. He did not realize who he was talking to when he took Jesus aside to rebuke him. 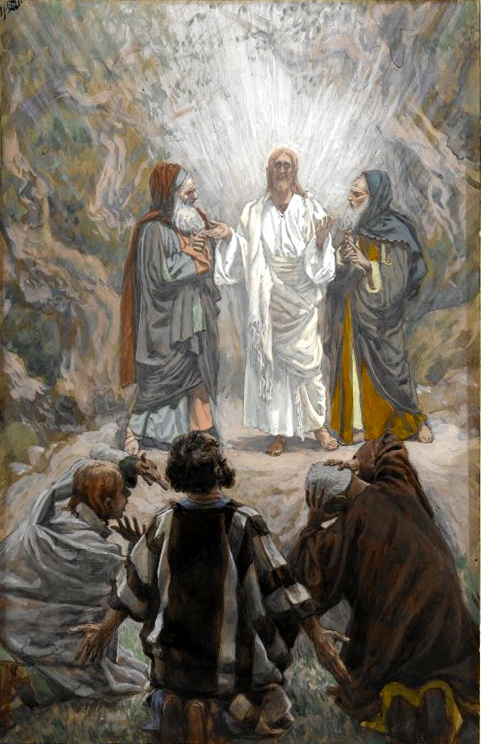 The Transfiguration distinguished Jesus from Moses and Elijah, the Jews’ most venerated prophets, one of whom wrote that God would send “a prophet like me” and the other of whom Scripture stated, “I send you Elijah the prophet.” The Transfiguration emphasized the preeminence of Jesus and his word over Moses, author of the Law, and over Elijah, who symbolized the Prophets. Thus, Jesus is preeminent over Scripture, which exists to testify concerning him. Though John witnessed Jesus’ glory at the Transfiguration and then after his resurrection, it was still not fully clear to him what being transformed into the likeness of the glorified human person Jesus will be like for us when Jesus returns. However, he was assured that when that time comes, we will be like him, for then we will see Jesus as he truly is. Thus, the Transfiguration gave John only a partial glimpse, stunning though it was. Consider this illustration: if a friend invites you to listen to a 5000-watt sound system with speakers around a small room, you could listen to it and even enjoy it at reasonable volume, but not at its full power, which would damage your hearing. In a similar way, the glory of God is too powerful for human senses, which would be overwhelmed, even to death. Saul of Tarsus was blinded by the glory of Jesus on the road to Damascus, but even then, he did not see Jesus in the fullness of his glory. Why should we pay attention to this account of the Transfiguration? The reason is that this vision of three eyewitnesses was intended to be shared with everyone. All of us need to understand deeply who Jesus is and have a deep sense of awe about the Father and the Spirit. As we do, we gain insight into our future glorification in the likeness of Jesus, though as John notes, we’re not entirely sure what that will be like. Why commemorate the Transfiguration on the Sunday before the beginning of the season of Lent? In the book, Calendar: Christ’s Time for the Church, Laurence Hull Stookey points out that the Transfiguration “can act as a bridge into Lent by further identifying who Jesus is and by anticipating what will occur in Jerusalem” (p. 136). By this annual reminder of the Transfiguration, the church grows in its understanding of who Jesus is and what to expect when he returns. Each of us can learn that our vision of God needs to be consistent with the vision of the Father, Son and Spirit, and that this shared vision is part of the process of our growth. May the vision granted the three eyewitnesses to the Transfiguration of Jesus enlighten the eyes of our hearts. Amen.